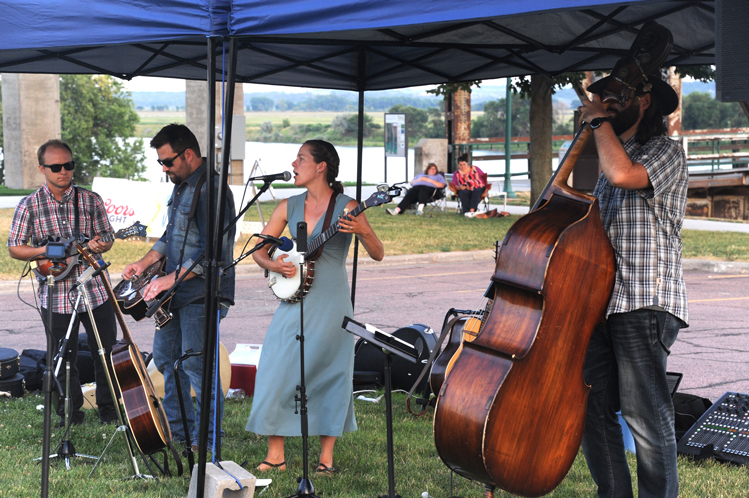 Yanktonians now gather on Thursday nights in summer at the base of the circa 1924 Meridian Bridge for music, food and festivities. 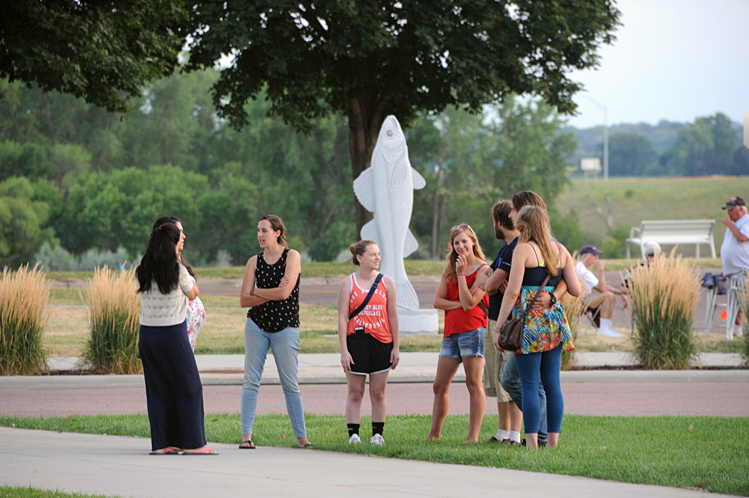 The event, now in its second year, is attracting ever-larger crowds who mingle by the banks of the Missouri River. Photos by Bernie Hunhoff. Black Hills folk and jazz singer Jami Lynn drew a big crowd on the night she played the Meridian. Jami Lynn is a native of Corona, a small town near Watertown. 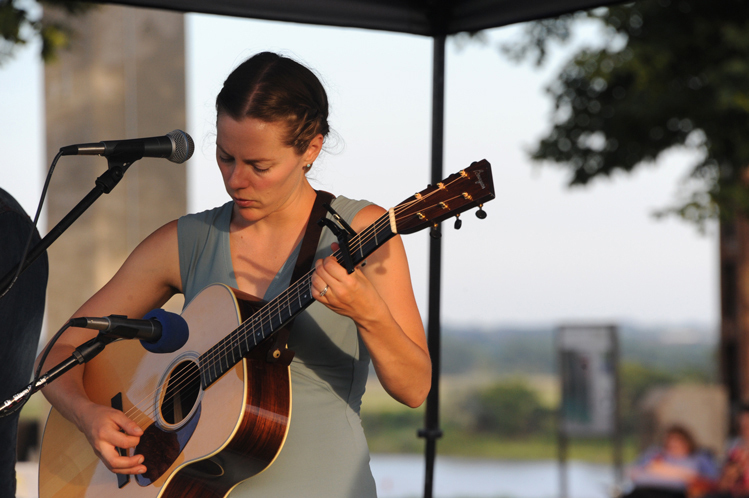 Many of her songs relate to life stories in South Dakota. 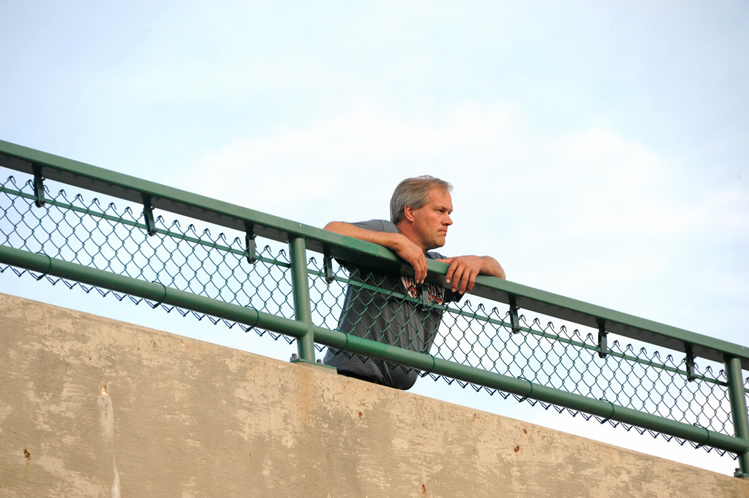 Jami Lynn’s husband watched from the Meridian grass with their dog. 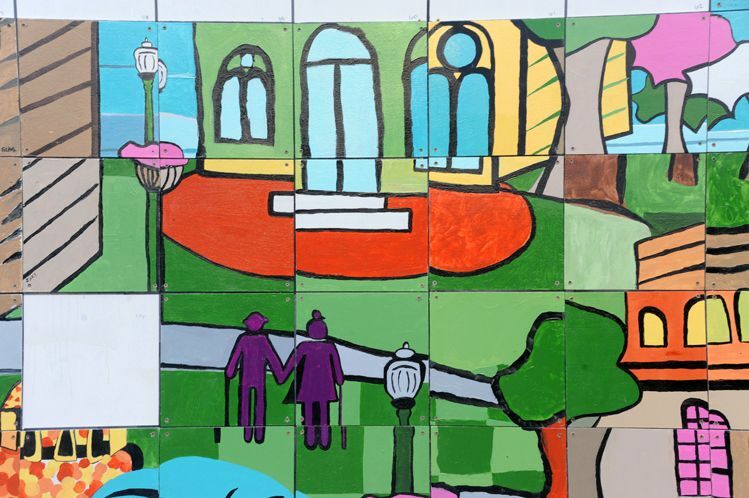 A community mural has been in the works all summer long. 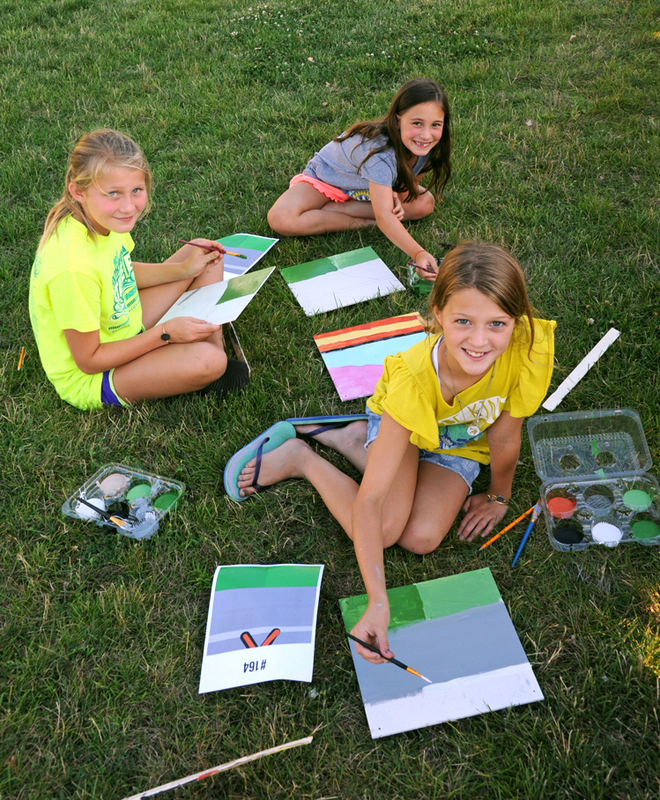 Youth and adults paint squares that will eventually form a large painting. City staff collect the squares and attach them to a frame on the western wall of the bridge. Music at the Meridian is a family affair. 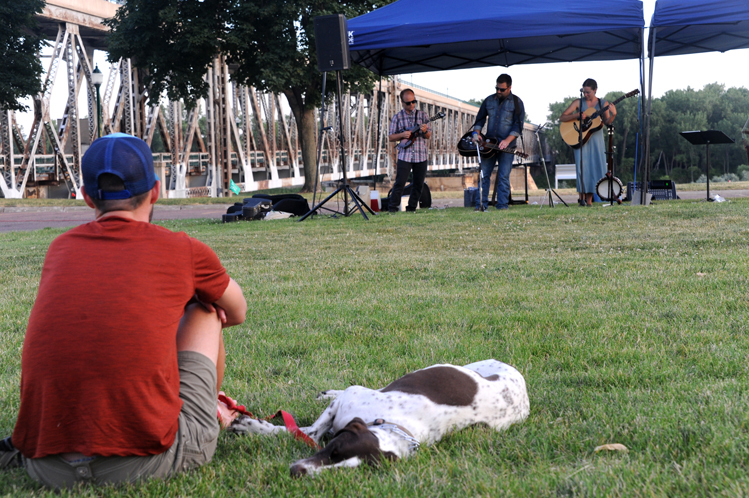 Kids, dogs and people of all ages share the riverside with food trucks, musicians, artists and others. 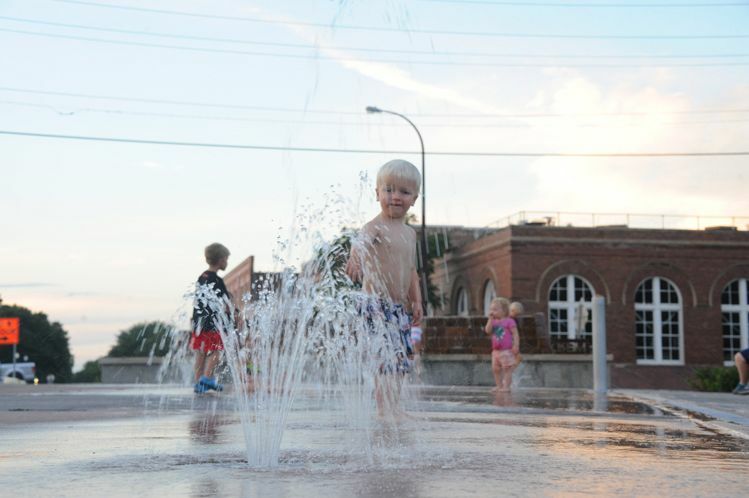 Children delight in the fountains at the base of the walking Meridian, which is considered to be the longest pedestrian bridge in the USA connecting two states. Vintage cars and trucks are parked at an adjacent parking lot of Missouri River Associates on the last Thursday of every month. 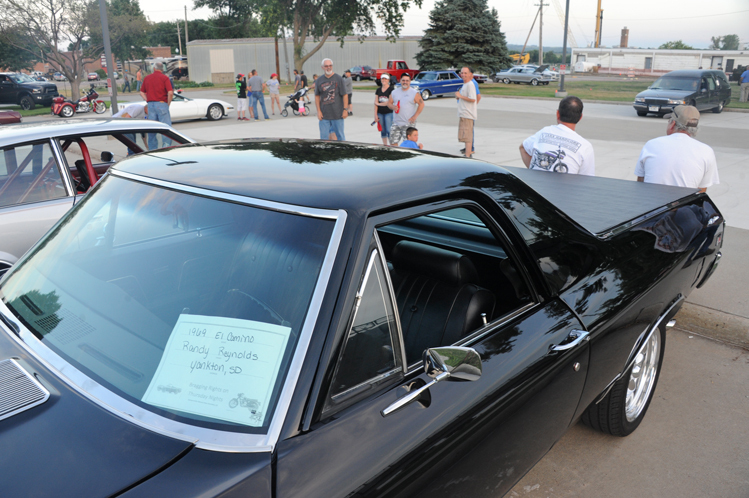 The car shows are always a benefit for local non-profits. Admission is free, and lunch stand sales are available for freewill offerings. 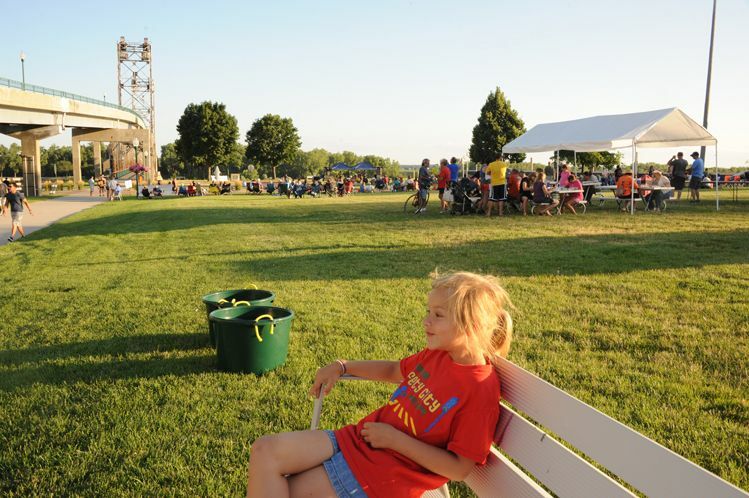 The summer concerts begin at 6 p.m. The finale for the summer is August 17 (featuring Led Farmers), but look for them to continue in 2018.